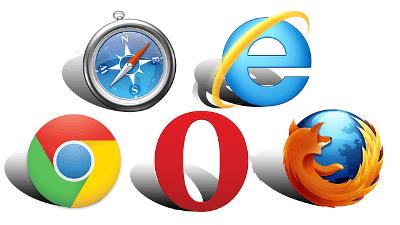 Believe it or not, most people have little to no idea about the difference between a web browser and a search engine. If you do know the difference, congratulations, but for the others who don’t, here are a few pointers to easily differentiate these two usually interchanged words. Google Chrome, Mozilla Firefox, Opera, Safari, etc. Google, Yahoo, Bing, NATE, DuckDuckGo, etc. A web browser or browser is a software application used in retrieving, presenting and traversing information resources in the world of the Internet, known as the World Wide Web (WWW). It is a platform that people use to find any website via its URL. With that being said, a web browser is a program that can be installed locally on a computer device. So how does it work? By using the Uniform Resource Identifier (URI) or Uniform Resource Locator (URL), the browser takes the HTML (Hypertext markup language) code passed by the information resource and translates it into a web page, video, image or any other form of content. Examples: Google Chrome, Internet Explorer, Mozilla Firefox, Microsoft Edge, Safari and Opera. A web search engine or search engine is also a software program, but unlike web browsers, it is not installed on your computer device but on the Internet. Judging by its name, you can already guess that the purpose of a search engine is to search. More specifically, it is used to search for websites based on keywords you enter. Results can include websites, images and videos. So how does it work? Once a keyword is punched in, the search engine will go through millions and millions of bytes of information in its database to locate the desired content and display the results to the user via web browser. Examples: Google, Yahoo, Bing, DuckDuckGo, NATE and Naver. What’s the difference between a web browser and a search engine? By simply taking in the keywords of each word, in this case the words browser and search, you can immediately identify one major difference between the two. One is programmed to browse a webpage, and one is to search for a webpage. One other notable difference is that while a web browser can exist without a search engine, a search engine needs a web browser to display its results. This simply means that a web browser is the basic element in accessing the Internet, whereas a search engine is to simply search for keywords in a search engine’s database. In other words, you can’t access any data without a web browser, but you can go to a certain website without the use of a search engine. Regarding their capabilities, a web browser is there to display what a website might have to offer, but you can’t simply search for that certain website by entering a keyword on a web browser’s location bar. That’s when a search engine comes in handy. If you don’t know what site you’re looking for, then just key in the word that you think relates to what you need, and hundreds or even millions of results will show up, depending on the keyword you entered. Finally, a web browser is a software application that needs to be installed on a system. Search engines, on the other hand, do not require any installation on any system and are openly accessible to anyone through the use of a web browser.